This PS Vue Elite option includes Sports Pack, Fox Soccer Plus, Showtime, HBO, Cinemax for an additional $57.97 per month. PS Vue Elite brings additional news, family and movie channels on top of the Core package. PS Vue is an internet TV streaming service that lets you watch major broadcasts and popular cable networks from both home and remotely. Unlimited DVR and up to 5 simultaneous streams are included in every package. PS Vue Elite is an internet TV streaming service providing access to most popular live sports and entertainment content. The service offers access to national and regional networks with multiple plans to choose from that will fit every need. PS Vue Elite brings additional news, family and movie channels on top of the Core package. Live TV and recordings can be played from Apple TV, Android TV, Chromecast, Fire TV, Playstation 3 (PS3), Playstation 4 (PS4), Roku. You can also use both Android and iOS mobile devices as well as the browser on the computer. DVR service is included with unlimited storage and recordings can be kept for 28 days. You can stream on up to 5 devices simmultaneously at home. There are five user profiles available. 60 FPS broadcasts are supported on Playstation 4 (PS4), Fire TV, Apple TV, Nvidia Shield TV and Chromecast. 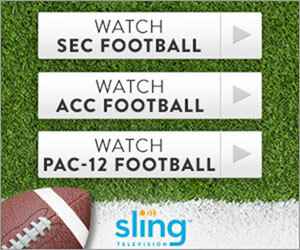 This service option includes Sports Pack, Fox Soccer Plus, Showtime, HBO, Cinemax for an additional $57.97 per month.